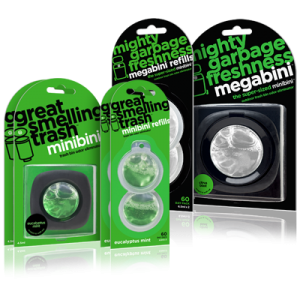 6 Minibini Refills + 4 megabini refills for outdoor trash. Never smell your trash again! 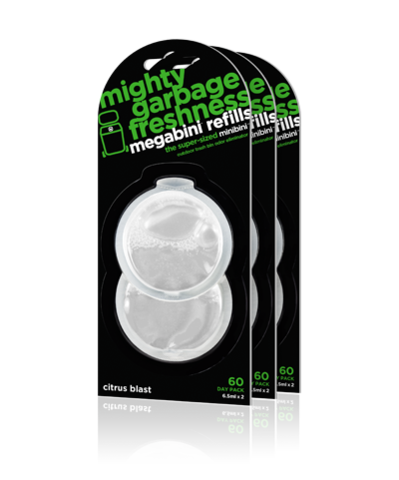 Ideal for indoor trash, kitchens, bathrooms or anywhere stinky! Weather, vibration, heat and dust resistant. Uses anti-shock technology, so guaranteed to stick!